Automakers are required to properly design and make their vehicles. This requirement extends to all the parts used in the vehicle. Car manufacturers, parts manufacturers, and others in the distribution chain can be held liable for any injuries or deaths their defects and poor workmanship cause. This accountability applies to all car and part makers, such as Chrysler and Chrysler Fiat, whose vehicles have been recalled for faulty brakes several times over the past few years. We have obtained millions of dollars in jury awards and settlements for victims of defective auto parts used in cars, trucks and other vehicles. Our results speak for themselves. Ready-Alert Brake systems. Approximately 25,000 Jeep Grand Cherokees and Cherokee Durangos were recalled for a defective brake part called a “Ready-Alert Braking” system, a safety system the driver should have been able to use for panic stops. TRW brake boosters. Chrysler has recalled close to 900,000 Jeep Grand Cherokees and Dodge Durangos for defective brake boosters. The recall covers vehicles built between 2010 and 2013 and covers the worldwide distribution of the Jeeps. The recall was the result of studies done due to consumer complaints about the brake boosters, manufactured by TRW Automotive. The boosters required extra pedal pressure if the crimp joints were exposed to water and freezing. This defect made crashes more likely because the driver could not properly brake in a reasonable amount of time. The National Highway Traffic Safety Administration (NHTSA) was a primary force behind the recall. Poorly constructed calipers. In 2016, Fiat Chrysler announced a recall of 14,768 Dodge Durangos and Jeep Grand Cherokee SUVs for brake caliper defects. 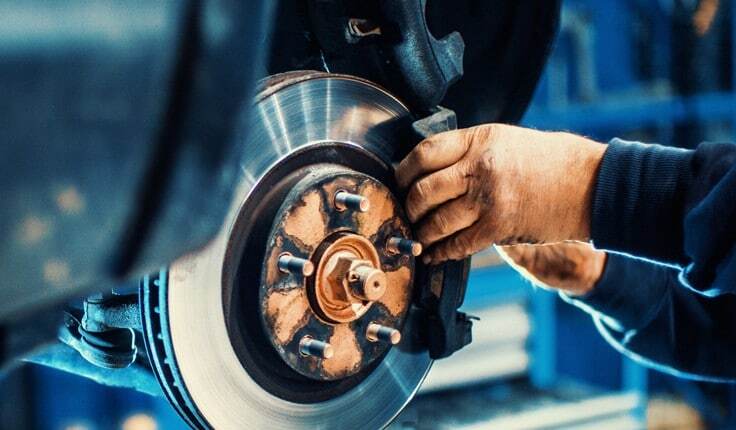 According to NHTSA, the front-left brake caliper may crack because improper materials were used. A broken caliper means the driver of the vehicle needs more distance to come to a full stop — increasing the likelihood of an accident. The recall affects the Jeep SUVs made between December 2015 and January 2016. If you believe that you or a loved one was harmed in an accident caused by defective Jeep brakes, we can help. We may also bring claims for breach of warranty and negligence. If it can be shown that the car or part maker was aware of the defect and failed to warn the public or failed to take steps to get the vehicle off the road until it could be repaired, we then also demand that punitive damages be paid to hold the wrongdoers accountable. HLM is the firm of choice for many lawyers and residents throughout Georgia. We win many cases because we are able to anticipate and counter the arguments made by the high-priced defense lawyers for car manufacturers. We have the tenacity to fight defense lawyers who try to stall, delay, or contest valid legal claims. Our Atlanta auto defect attorneys work to get each client the full amount of damages he or she deserves when their lives are turned upside-down by an accident. For strong legal representation and a free consultation, please call us in Atlanta at 404-998-8847 and in Savannah at 912-417-3774. You can also reach us through our contact form.